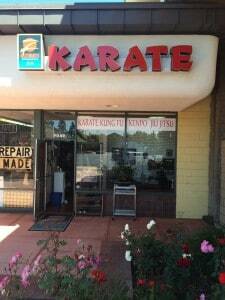 Choosing the perfect karate school for you and your family is one of the most important decisions you will ever make. The challenge in choosing a school is that unless you know what questions to ask or what to look for, you are at the mercy of choosing based on convenience, price or the salesmanship of the person you contact at your local studio (also called a dojo). Knowing what questions to ask and what to look for can mean the difference between having an experience that positively changes your life forever or one that leaves a bad taste in your mouth, turning you off from training and causing you to miss out on all the life-changing benefits. Most people don’t know what a well-planned and focused program can do. Self defense classes are the #1 personal development and fitness program on the planet. Most adults do not realize how much karate training strengthens your mind, body and spirit. The rigorous training pushes you physically beyond what you think is capable. As you push and grow, you become physically tougher, fitter and more skilled. As these skills grow, so does your self image and mental toughness, as you now see yourself as someone who can accomplish anything you put your mind to. As this physical and mental fitness grows stronger, so does your “I-can-do-anything” spirit. Not to mention you are learning invaluable life-saving self defense skills, too. You can go anywhere to get sweaty – there is no shortage of gyms, Crossfit boxes, dance studios, yoga centers and more; you can also go to any number of places and learn how to kick, punch or wrestle. What makes our system so powerful is in the tradition and principles BEHIND the techniques – the reasons WHY and HOW they work. A quality school will teach how to take these principles and apply them not only in your training but every aspect of your life. There’s a saying, “You can only be as good on the outside as you are on the inside.” A good program teaches you how to work on your self-image and how you feel and think about yourself. For example, let’s say you are a busy professional in an international finance company and you have been recently promoted to National Finance Director. Your areas of responsibility are behind quota, you are over budget, your predecessor was dumped unceremoniously and left you no information how anything got into this condition. And – you have to make a presentation to the Board of Directors on what you are going to do to right the ship. Tomorrow. Before you were training, you probably would have gotten intimidated and anxious, trying to figure out just how you were going to pull this off without puking on the Board of Directors. But since you have been training, things have changed. What’s changed? Because of your training in a good school, you have been challenged and held to a higher standard than you thought you could achieve. Your Instructor has pushed you to be your best every single day he saw you. He’s helped you set goals and kept you accountable, on time and with no excuses. He’s called you when you missed your class and hounded you until you showed up to work out. Since you have been drilled and placed in training situations during classes designed to push you mentally and physically, you are not going to be intimidated, bullied or threatened by any situation, even a meeting with the Board of Directors. I personally remember working with a young woman who probably weighed 98 lbs. soaking wet with her shoes on. She had been in an abusive relationship and after getting out of it, she joined our school to gain confidence. She sucked it up – and did her exercises. It was a pleasure to watch her grow and get stronger physically and mentally. She learned that she was much stronger and much more capable of doing things than she thought. She put on ten pounds of lean muscle, went from zero to fifty straight push-ups and when I last saw her, was in a healthy long-term relationship for the first time in her life. She said it was because of the strength and belief she had built in herself through her training. After training in the martial arts, you are going to feel better about yourself and confident that you can handle yourself physically and emotionally. A good school is going to teach you that true self defense starts on the inside; control over one’s emotions and self image. A good school will teach you that you have to keep your emotions and head about you in times of stress. If you lose it in a self defense situation, all the physical tools in the world won’t be able to save you. Great question; let’s take a look. It was quoted in the news with regards to organized sports that today’s organized sports don’t build up the strong as much as they eliminate the weak. You may agree or disagree (I have had more than a few heated debates with proponents of organized sports over this issue) but the reality is that in most cases with organized sports, the best or most talented kids get the bulk of the reps and playing time while the kids not so sharp or athletically inclined are out on defense, in the outfield picking petunias or worse – on the bench. Is the team concept important? Of course. Learning to work together in pursuit of a common goal is a worthy skill to have and has led to some of the highest achievements in all of sports and mankind. Unfortunately, team sports have had some of the ugliest moments as well. We have all seen the tapes on the news of the parents fighting and, in one instance, killing each other in front of children in the name of their child and the team. While I acknowledge that those situations are exploited because of our hyper-speed 24-hour news cycle and these situations are most likely outliers, I have never heard of anything like that happening related to a martial arts event. In team sports, if your child happens to be the one on the bench or stuck out in the boonie-weeds, is he developing to his fullest? Is he getting the coaching he needs to get better? What is going on in his mind with regards to his self-worth and abilities? Is he getting a good message or a negative one? Sure, the very nature of the team concept doesn’t lend itself to giving children individual attention, but what are you going to do? 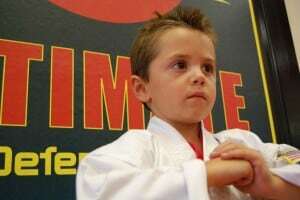 Karate classes are one of the few venues available to children were it is 100% all about them; their success and failure lies solely on their shoulders. A good school will coach and teach your child just as quickly as your child can learn and will give your child goals to reach for. A good school will show a child how training builds focus and self-discipline; how those qualities lead to better grades and performance in school. A good school will also teach children about respect for each other and their elders; how respect for your fellow man is the essential ingredient in relationships with people. A good school will push your child to be their best; they will have a teaching style that praises the child, shows them what they could improve upon or fix, and then tells them they believe the child can do it even better. In short, they will teach your child while building their self-image and self esteem, thereby building what America needs more now than ever; a resilient, responsible citizen. That’s the true gift of the martial arts; resiliency. The ability to take control and responsibility over one’s life and results. To never blame or shed responsibility for personal actions or emotions. To be able to take whatever happens in life and turn it in to a positive lesson or an advantage. A good school will be able to show their students how to think and act like a resilient, self-sufficient person. At Z-Ultimate Self Defense Studios, we use our style and our dynamic teaching system to help children build character and teach adults world-class self defense instruction while getting them in the best shape of their lives. You can go to our Programs page to get more information on all our programs and what we do. You probably didn’t know that karate could do all of these things, did you? That’s okay; now you know! I know; a funny question. But, probably the single most important question you can ask to save yourself a ton of time and make sure that you pick the right school for yourself. You want to define (or describe ) yourself truthfully: are you young, old, skinny, not-so-skinny, athletic, couch potato, busy executive or college student, working or stay-at-home Mom; is your child 4 or 14, outgoing or introverted, high energy or really mellow; the list goes on and on. You want choose a school that has students in it that are just like you, with a first class environment that you are comfortable in, and teaches in a way that will help you reach your goals. If you are a twenty-five year old professional female interested in losing weight while learning some basic self-defense skills, do you think you would enjoy training in a smelly, damp, poorly-lit dojo with a bunch of sweaty, twenty-something college aged men all wrestling around, trying to kill each other on the floor and all waiting for you to take your turn? With Z-Ultimate, you will be surrounded by men and women as young as eighteen to in their seventies, married or single, all focused on having fun and learning in a safe, clean, fun, family-friendly environment. How much is your life and well-being (or that of your child) worth? How much you are going to spend on your training really isn’t the issue. The issue is what are the benefits you are going to get from your training and how much is that worth to you? The information in the book is priceless; you can’t put a monetary figure on an additional thirteen years of your life. The $19.95 was the cost of the printing, ink, paper and other costs for printing the book. All dojos are not created equal; they are not a commodity. It’s just like not all private schools are the same, even though they fall under the label of “private” schools. Some are better than others depending upon location, funding, who’s running them and other factors. The point is this: the quality of your experience, the feeling you get from the staff, and how confident you are that the school can help you reach your goals are the determining factors that help decide how much you spend. You’ll happily pay any price for something if that something meets your needs – or you want it badly enough. I don’t know about you, but I’m like everyone else; I buy things I want because I want them. I don’t really care how much it is (within reason, of course ) because if I want it badly enough, I’ll find the money. Another point to consider when it comes to pricing: most good schools are going to open in an area that demographically supports their target market. 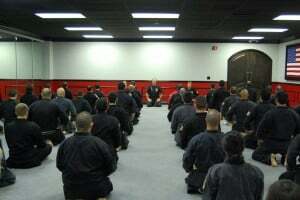 If there is a dojo in your area, you can safely assume that you can afford their classes or they wouldn’t have opened there in the first place. Your success in the martial arts is not something you want to farm out to the lowest bidder. Emerson, in his Essays on Compensation, referred to the laws of nature and economics that state, “It is impossible to get something of great value for very little.” We usually paraphrase that today into, “You get what you pay for…”. One last point in regards to pricing; some schools, due to lack of belief in themselves will charge too little. They undervalue what they do, so they lack the conviction to charge relative to the value they offer to the market. If they are undercharging for their classes they may have a hard time staying open as a viable business. That could lead to the common occurrence of one day the school is open and they are there teaching classes and the next day – the school is permanently closed. At Z-Ultimate, we value what we offer to our communities. What we do changes lives. With our Dynamic Mastery Method™ and World Class Personalized Training Programs, we have the best system in the industry for teaching self defense and helping children and adults reach their goals as quickly as possible. You won’t find another school or organization that offers the massive amount of value that we do for what you invest in your training. I also know, through personal experience, that I have never gotten anything that was very valuable and of the highest quality for cheap. Someone can always do something cheaper. At Z-Ultimate, we’re not the cheapest; we’re the best. If you are the type of person that wants the best and understands that you may have to pay a bit more to get it, then we are a good fit for each other. If a school fits your wants and needs, can customize their program to you and you connect with the instructors, it will be worth it in the long run to choose that school for your training. You owe it to yourself to get the best training you can. Depending on the type of person you are, go to your favorite advertising medium and start looking around for a school to call. The yellow pages used to be a good place to start – now we almost all either rely on friends and family or we go to the Internet. A word of caution on the Web: when you are searching, it does you no good to know about the Killer Death Ninja Dojo with convenient class times in Hoboken, New Jersey – unless you live in Hoboken. Make sure you are either signed in to your search browser or put in your city name when you search. Search terms like, “best martial arts school city”, “best karate classes city” and, “best self defense classes city” are all great terms to start. This should narrow your search to an area near your home. Depending on your area, try to stick in a three to five mile radius. Why that distance? If you are in Southern California, where I live, most people won’t drive from one side of the city under the freeway to the other side of the city unless their life depends on it. As populations get more densely packed, peoples’ tolerance for inconvenience and travel drops. That makes it a good idea to pick a location that is conveniently located close to you. The easier and less stressful it is for you to get to your classes the better. Here’s a Big Secret in looking for a school. In Southern California, there is a mattress company that has been running the exact same ad since I moved here in 1988. And I mean the exact, same ad – word for word. And it has been in every type of media possible, including the radio. When it came time for my wife and I to purchase our super-deluxe, outrageously expensive California King-size bed, who do you think I called? Yep. Those guys. I had their number and picture (and tagline) indelibly burned in my head! If you have seen an ad for a karate school over and over again, in a bunch of different mediums, or if a school is at the top of the search engines or has multiple listings on the front page of search (and reviews), you can figure that they are probably a decent school. If they weren’t, they wouldn’t be able to afford to stay in business with all the money they are spending on advertising and their exposure online. For all the “Yeah, buts” out there – you know; the people who hear something and say, “Yeah, but…” you may be worried that you might get sucked in to a school that just has a lot of glitzy advertising and no substance. A dojo is geographically limited; most schools are going to pull from within a three to five mile radius. If they are scam artists or teach lousy classes, they won’t last long because you know as well as I do that bad news travels fast – especially on the Internet – and they’ll go out of business! Once you have narrowed down your search, pick up the phone, send an e-mail or go visit the school that you are interested in. Upon first contact (however you do that) don’t be surprised if you get asked a ton of questions. If it’s a good school, they are going to do a mini-interview right on the phone to see if you are the right fit for them and if they can help you. This is a good indicator of the quality of the school that you have called. A word of warning: if you are like my wife, you are going to be a little nervous when you call and maybe not so open to what the next step is. When it comes to people and business, my wife is the type of person that would like to eliminate all human contact whatsoever. She is very shy and wants to use the Web for everything. If she has a complaint or a problem, she will use every tool known to man to address the problem, as long as it doesn’t involve talking to a person! Some of you may relate. The next step (and most crucial) is that you must make an appointment to go down and visit the school. If it’s a good school, they are going to insist and not let you join unless you go through some sort of Introductory Course to make sure that you are a good fit. This is a very important step that must be taken to choose a good school. You wouldn’t buy a car without test driving it; you wouldn’t marry someone without dating first (I hope) and you wouldn’t let a surgeon operate on you without first meeting him and checking his credentials. It’s no different when picking a dojo. The most important factor in choosing a school is your comfort level and trust in the staff to help you achieve your goals. You aren’t going to be able to tell that over the phone. You are going to need to sit down and meet with them face to face. If it’s a good school, they are going to want to meet and put you through an interview and training course before they talk about letting you join. This is as much for your protection as it is theirs. If they just let anybody off the street walk in and join, and then he turns out to be violent and dangerous to the other students, that’s a Bad Thing. That can chase off the good students that are already there and open the owner up to potential litigation. A good school is going to pre-screen you before you join, working you out in classes to expose you to how they do things as well as seeing if your schedule and budget fits what they have to offer. Don’t be surprised if when you ask about money, they say they will get to that after they ask you some questions. They are going down their list of criteria and they know that if you don’t fit with what they do or they can’t help you, the money isn’t going to matter anyway. A good school will not try to enroll you as a member is you aren’t the right fit. If you are looking for Full Contact to-the-Death training, and they are predominately children-focused, a good school will recommend you somewhere else. You’ll know at the end of your Introductory Course if the school is a right fit; it’s like when you found the perfect car or perfect mate for yourself; you just know and making the decision to join will be effortless for you. If you have to start talking yourself into it, that’s probably a warning sign that you don’t have the “Warm and Fuzzies” about this school. 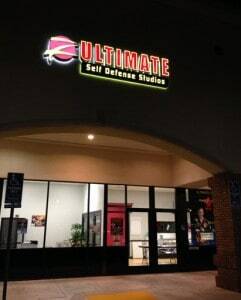 With Z-Ultimate, no one is allowed to join unless they go through our Introductory Evaluation Course. This course uses our world-class Dynamic Mastery Method™ as we work with you to evaluate your goals, physical abilities and more. At the end, we sit down and interview you so that we can build your Personalized Training Program. This program is customized for you, built around your goals, abilities, schedule and finances. At Z-Ultimate, we are the only school that builds a program to fit your needs instead of making you fit into ours. Let’s start off with the physical location. Let’s assume that you picked a school that conveniently located for you. Now you want to look for physical characteristics. You want a school that is off a main street or cross street to a main street. It is good if it is in a well-trafficked retail center, but a stand-alone building or other location is good as long as there is plenty of traffic. This is important for a couple of reasons. One of the first reasons is the more traffic there is for the school the better. This can help guarantee a school’s longevity as there is plenty of potential new business. Another reason for a nice center is that you want plenty of well-lit parking. You’ll be coming in and out of the school at different times and for safety reasons, you want to make sure the area is clean and well-lit. Next you are going to want to look at the interior. Some schools go for the Asian motif; others go for contemporary. What the theme is doesn’t matter; what matters is neatness. A good school will pay attention to details and will be neat and orderly. If you see loose papers lying around, full trashcans, shoes in disarray in the front, old stained carpet or burnt-out light bulbs, this can be an indicator of the attitude and management of the school. A dedicated area for students to check in or receive information should be obvious. Storage areas for shoes and other gear should also be available. A nice retail display area in the front should display all the necessary items needed for training if there are offering training equipment and apparel. There should be a small office up front for conducting business or holding personal consultations. The bulk of the facility will be built for teaching classes and serving students. The main deck (floor) should be large and very clean; cleanliness is paramount here as there will be many students training on a daily basis so good cleaning practices are a must. The best surface for the main training area is Olympic-style mats. If those are not available, the next best is a high quality carpet with double padding installed underneath. Cheap commercial carpet with minimal padding is not recommended. Wood floors are definitely out as the primary training surface. You want to the softest material possible that allows movement but lends itself to easy cleaning and safety when falling, rolling or being taken down. Most schools will have enough space to take care of the clients with the minimum amount of waste. Separate changing rooms are nice, but not mandatory. One changing room that may double as a restroom is sufficient as well as an area to store equipment while taking classes. A good school will also have plenty of mirrors available on the walls. Mirrors are a very important part of student’s development. When used properly, they assist students in focusing their strikes and checking to see if there form, or how they are moving, is being done properly. Training equipment is also a must. One of my favorite ways to describe the importance of a good training partner and good equipment is this: if you wanted to learn how to play the guitar, it would be tough to get good if all you did was strum the air and visualize where your fingers go. You need an actual guitar to touch and play if you are going to get any good! The same goes for self defense training. If you go to a school and all they do is punch and kick the air, you aren’t really learning how to defend yourself or move your body correctly. You’ll want to see a good assortment of focus pads for targeting and speed drills, kicking shields for kicking power and balance, at least one heavy bag and safety cones for footwork drills. All of this equipment can be used for various drills for men, women and children. If your school meets most of these requirements, you are off to a good start. Nothing is more important to the success of a school than a team of great instructors. A good school will have a team of Instructors. Some will be full-time and others part-time or in training. You want the staff to be the appropriate size for the number of active students; too many staff eats up profits and cash flow, too little overworks the existing staff and leads to burnout and poor student care and retention. The first staff member that you will probably meet is the dedicated Admissions or Program Director (If the studio has one; many have the Chief Instructor personally handling the new students until the school is large enough to support and Admissions Director. If this is the case, the Chief Instructor will assume the duties described). The Admissions Director’s job is to make your admission into the school as painless as possible. The Admissions Director is the mouthpiece or business arm of the school. He is the person that is mostly responsible for exposing the school to the public, taking applications and admitting new students to the school. The next staff member will usually be the Chief Instructor. His position is to teach quality, high energy classes and to recruit and train more staff members. He will also manage the Admissions Director and other Instructors on the staff to ensure proper quality of instruction. This will usually be the most senior person on the staff. Next will be the Instructors. These staff members will be in charge of the day-to-day operations of classes and managing student progress. If you miss a class or need to be contacted, the Instructor in charge of your training will be the one to handle it. If you have any questions or concerns about your training, your Instructor is the one to ask. Proper staffing is essential for student growth as well as the long-term success for the school. Most schools will start out with one Instructor. If it’s a good school, they will immediately pull from their Instructor’s Academy (more on a Professional Martial Arts Academy later) a qualified assistant and them start to build a staff. You want the school to have a good staff of Instructors for a couple of reasons. The first reason is variety. While it is important to stay with the same Instructor for the duration of your training, it is nice to sample another’s method of instruction every once in awhile. This is so that you can get exposure to different styles of teaching and broaden your horizons as a student. Another reason is that a staff means stability. What I mean by this is if you have just on Instructor in charge of everything, working 60 and 70 hour weeks and never getting a vacation or time to eat, you have a recipe for disaster. At some point, this guy is going to flame out and you’ll show up for class one day and no one will be there! Having a proper amount of staff allows the responsibilities and workload of running a great school to be spread around so that each area gets the attention it needs. If the school you have chosen is a start-up school with a small staff, don’t worry as it may take time to build a staff. If the school is several years old, still small in student count and has no staff, run away. Fast. When choosing a school, make sure that it has some sort of professional staff training for producing new instructors. As we covered earlier in this report, a good school must have a staff if it is to survive and grow. No one person can run a school and last long-term. For a school to grow a staff requires a solid staff development program. Why is this important? Well, besides what we mentioned earlier, a staff development program will provide quality control so that the students get a consistent product every time that they come to the school. Why is it that when you go on vacation, you’ll go out and eat the same types of food that you do when you are at home? It’s the same reason why I ate at McDonald’s when I traveling in Hiroshima, Japan in 1989. I knew exactly what I was going to get when I went to McDonald’s. I knew what the service was going to be like and I knew what the food was going to taste like. McDonald’s is one of the most successful businesses ever because they produce a consistent product, visit after visit. A good school is going to have that same level of consistency – no matter who is teaching – if they have a good staff development program. You want that kind of consistency in your school. A good staff development program will consist of training the instructors in all aspects of the school operations. There will usually be levels of training, similar to corporate America, where you start “in the mailroom” and work your way up. Instructors will go through each of the levels until they have covered all aspects of the training. From that point, they will “graduate” and be certified by the Academy or Chief Instructor. Make sure that whatever school you choose, it has a staff development program in place. It virtually guarantees the long-term success of the school and the quality of your experience. 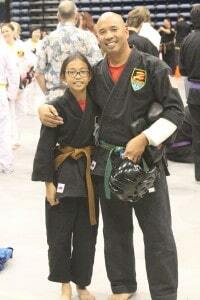 Z-Ultimate has an University of Martial Arts Professionals for every county and state where we have a location. We know and value the importance a staff has on each and every one of our dojos and strive to constantly keep a healthy flow of students training to become staff members and eventually Chief Instructors. It’s also one more way for us to guarantee the quality of instruction and consistency throughout all of Z-Ultimate. How a school teaches is even more important than what it teaches. How can you tell if a school doesn’t do that? Well, let’s say you are taking a class and you make a mistake. If the Instructor loses his mind, berates you, makes you do push ups until your arms fall off and makes you feel like you can’t do anything right and are not worthy of instruction – you may be in the wrong school. Seriously, there are schools out there that teach in the Old school, back-in-the-day, “You should be glad I am taking time out of my busy day to bless you with my presence” method of instruction. It’s completely unacceptable, unprofessional and potentially damaging to students and should never, ever be tolerated. A good school will use positive reinforcement while teaching. Study after study has been done that proves while negative reinforcement may work in the short term with certain personalities, positive reinforcement always wins in the long run in the fields of management and teaching. At Z-Ultimate, we use a method of instruction that guarantees a positive learning experience and faster learning process, as well as long-lasting results. A good school will also modify how they teach their style with how you learn as a student. Some people can learn just by seeing while others learn by actually performing. A good instructor will tailor your instruction to what fits you so that you can learn at the fastest rate possible. A good school will also modify what they teach to fit your unique body style and physical abilities. For example, let’s say you have a bad knee. If you have a bad knee that can’t take a lot of pounding, but the instructor still insists that you learn the jump-flying-pinwheel-kick-of-death, your career in the arts will be painful, not to mention short-lived. If you have a shorter, more powerfully built body style, you will be better at medium and short-range movements and techniques. While it is important to understand and develop your long-range weapons, a good instructor won’t focus on trying to make you into something your not. He’ll allow you to develop in the way that is most natural to you. Look for a school that has a positive environment, enthusiastic Instructors that teach in a caring and positive manner, and make sure that the instruction matches your unique personality, body style and physical abilities. With Z-Ultimate every program is custom-tailored to the student and their physical strengths and weaknesses. We take your natural abilities and help develop them to the next level. As we said earlier, a good school should make you go through an Evaluation Course of some sort. During this time, they should have been evaluating you to learn what your goals where, what kind of learning method worked for you and if you would be a good fit as a student at the school. If all systems area go, you can expect to meet with the Admissions Director at the end of your course and explained how to take the next step. Because there are so many different ways and promotions that schools use to attract students, we can’t possibly address them all here. You can safely assume that if you qualified during the admissions process, there will usually be some sort of an incentive program to get started in the school. You can use your best judgment here and also refer back to the earlier section on “Quality versus Price” for more guidelines. One of the first things you will discuss after reviewing the recommended program is how long of a program to get you started. The term you choose when you start is going to be directly related to your goals and what you want to get out of the program. Here’s something to think about: if you are a parent getting your child started in a good program, you are probably looking for increased listening skills, better focus, more self-discipline or maybe improved grades. As a parent, how long has it been taking you to teach these things to your child? Quite along time and it continues every day, doesn’t it? If that’s the case, then “trying the program” for a month or two is not going to cut it; you just aren’t going to see much improvement in that short of time. A good school is going to look for a 1% improvement in 100 different areas, not a 100% improvement in 1 area. As a parent, it would be unrealistic to expect even a fantastic school to get results in one or two months, only seeing the child one to three times per week. As a general rule, you are going to want to commit to at least six to twelve moths of training if you are serious about getting the results that you are after. It’s like college; if you just go for one semester, you didn’t really try and see if it was for you – you just went so you could say that you tried. With Z-Ultimate, you won’t be allowed to join unless you agree to a minimum of six months of training. This way we know we are going to get outstanding results for you because we know you are going to be here with us long enough to put in the time to get the results you were looking for. Whatever time period you decide, it helps to remember that if you don’t put in the work, you can’t reap the rewards. Whether you are and adult training with us or parent enrolling a child – the more time you dedicate to your training, the greater your changes of success. A good school will use a billing company to handle all the school’s tuition and billing needs. Just like any major corporation, there are separate departments for every aspect of operations. If the school operator is smart, he will model success and do the same thing. A good school owner is going to know that they are good at one thing and one thing only – teaching. Just like other successful companies, the smart school owner will hire the services that he does not have expertise in. A billing company will be one of them. The billing company’s job is to take care of all the tuition needs of the school. When you first enroll in the school, the Admissions Director will get you set up with the billing company, but after that all questions or concerns having to do with finances will be handled by the billing company. This separation allows your relationship with the school to be about you and your goals in your training, not about money. It also frees up the time of the school to do what they do best, which is teach great classes. Having a billing company also keeps the operating costs down of the school. Not only does the typical school owner not have any expertise in finance, but if he did handle it himself, he would have to hire an additional staff member just to keep up with it or worse, he would actually have to do it himself, which would take the time away that is needed to take care of students. A good school will use a billing company that uses agreements versus contracts. There are differences between the two and it’s important to know what they are. WARNING: Before we get into this section, I have to give you a disclaimer. While I did check with an attorney on the following information, I am in no way representing to you that it is gospel. Always consult with your attorney if you ever have any questions regarding contracts or agreements. Okay, now that we have that out of the way we can get on with it. A contract is a binding arrangement that is designed not to be broken. If you have ever joined a health club, you are familiar with a contract! Whether you are going to the gym or not, that money is coming out of your account and you can’t stop it until after the agreed time has passed and the amounts have been paid. If you somehow stop payment before the contract is up, you get sent to collections until the amount owed is recovered. Agreements are different. Agreements will usually have a buyout or cancellation clause built into them so that at any time, either party can cancel the agreement with certain conditions. It is not unusual for there to be some type of cancellation fee and written notice involved in this process. A good school will use agreements out of fairness to both parties. A good school owner will do everything he can to make sure that clients are happy, including making it as painless as possible to conclude business with the client. Agreements are also great from the standpoint that no one wants to be forced to do business with someone that doesn’t want to do business with them. Imagine being forced to go to a doctor you no longer trusted or wished to see or being forced to work with a customer that didn’t want to work with you. Make sure that whatever school you choose, you understand their billing arrangements and how they work. The martial arts industry is 100% unregulated. To put it another way, someone without a shred of skill or knowledge could walk into a store, buy a Black Belt, go get a lease in a commercial space and open a karate school and you wouldn’t have any way of knowing if he was a real instructor or not! Pretty scary, huh? Well, there is a way to protect yourself and I’ll share it with you now. A word of caution: just because someone is qualified in the martial arts does not mean he is qualified in running a business. This is an entirely different subject altogether and needs a different form of certification. We will touch more on this subject later. Like a doctor, the Instructor should be able to produce his credentials or already have them hanging on the wall in the school. If he cannot provide these credentials, you would be wise not to train with this individual. 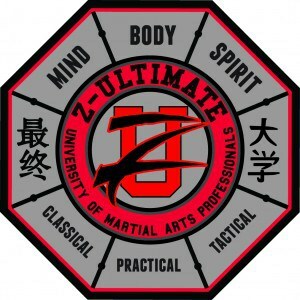 Every Z-Ultimate staff member has been certified by not only his Instructor but also the Head Instructor of the Z-Ultimate University of Martial Arts Professionals. Each staff member has clearly defined duties and gets weekly training in various areas of studio operations. It’s one more way to provide you with the best experience there is in the industry. You may have been surprised when I revealed earlier that the self defense training industry is unregulated. It’s estimated that there are over 20,000 schools in the United States. These schools fall into three basic categories of ownership: the independents, association members and company schools. It’s important for you to be able to identify what type of school you are joining and what the differences are between the different types of schools. It is important because the quality of the school greatly depends on the ownership structure. The first type of school is the independent owner. This school is typically run by someone who studied the martial arts, fell in love with it and thought it would be cool to be a instructor. He may or may not have any formal training in business or teaching. Usually, he was a great student and had a passion for sharing what he knew. This type of school is 100% self governed; the quality of everything in that school will be directly related to the quality of the owner. If he doesn’t have a clue as to what he is doing when it comes to teaching or running a business – and he does not network, work with or mastermind with a person or organization that does – he won’t be in business very long. This is usually because of a lack of management, marketing and training systems, along with being the person who has to run every facet of the operation. It is not uncommon for an owner like this to burn out in three to five years, working sixty-plus hour weeks, six and seven days a week. To be fair, that is even if he is running the school full-time. Many independent owners have a regular day job and open their schools only at night and on weekends. If the owner can maintain balance in his life, rest, train, have a personal life – more power to him. The reality is that most cannot. The second type of school is the association member. How this works is that the association school sends a small amount of money, usually on a monthly basis, to a martial arts association. In return, the association provides phone coaching and support to the school on the various aspects of running a school. They also might offer print materials for continuing education and advertising. Some associations have a small following while others boast of thousands of members across the country. The quality of the information that is given out is largely based on the experience and background of the person running the association. Again, since the industry is unregulated, it is difficult to gauge the quality of the information or the association until you see an association school in action. The association school is not under any control from the association; the association only gives information and advice. It is up to the school owner as to whether or not they are going to listen and follow it. This school is also 100% under the control of the Chief Instructor. However, the school owner was wise and humble enough to realize he needed help. It is good that he at least joined an association. Your chances here with this school are better than with an independent school when it comes to quality and longevity of the school. The last type of school will be a martial arts company school. This school will usually be a part of a multiple school operation. This school will usually have multiple layers of quality control and management. With this type of school, there is usually a parent company working with the location. The support will usually include things like site locations for the school, coordinating construction and grand openings, hiring of a billing company, a Professional Instructors Academy, a management team and more. There is also ongoing training for the Instructors and staff from the parent company. This guarantees the quality control aspect of the operation and keeps the staff current on their teaching and self defense skills. Lastly, with this type of school, there is usually a layer of management that meets with the Instructors on a weekly basis for coaching and any other special needs. This built-in support system is invaluable as it helps prevent all the usual problems that come up in the day to day operations of a service business working with the general public. You almost cannot go wrong with this type of school. Of course, as with anything, there will always be schools out there that defy the odds and are awful, no matter what organization they may be with. No matter how good the organization may be, they won’t be perfect every time. If you find a school that is a company type, you are usually good to go. You’ll be a part of something that is larger than just one location and one instructor. You’ll have peace of mind knowing that there is a support network in place and your school’s longevity and quality is almost guaranteed. I hope you have found this free report educational and informative. Even if you decide NOT to train with us, please use this information as you search out the perfect school for you and your family. If this information can help you choose the right school and you have a long and happy life in the martial arts, then it was worth it to us to share it with you. Z-Ultimate has over seventy locations in five states growing as well as support systems for all aspects of helping to manage and grow our schools, all built to ensure the longevity and quality of instruction that you’ll receive day in and day out with Z-Ultimate Self Defense Studios. To learn how to get started with Z-Ultimate, please visit our Getting Started page. For more about what martial arts classes can do for you, you can go to our benefits of martial arts page. To get find a school near you, you can go to our Locations page, find a school and schedule online, or you can call 888.95Z-USDS (9-8737) and see how Z-Ultimate can change your life!